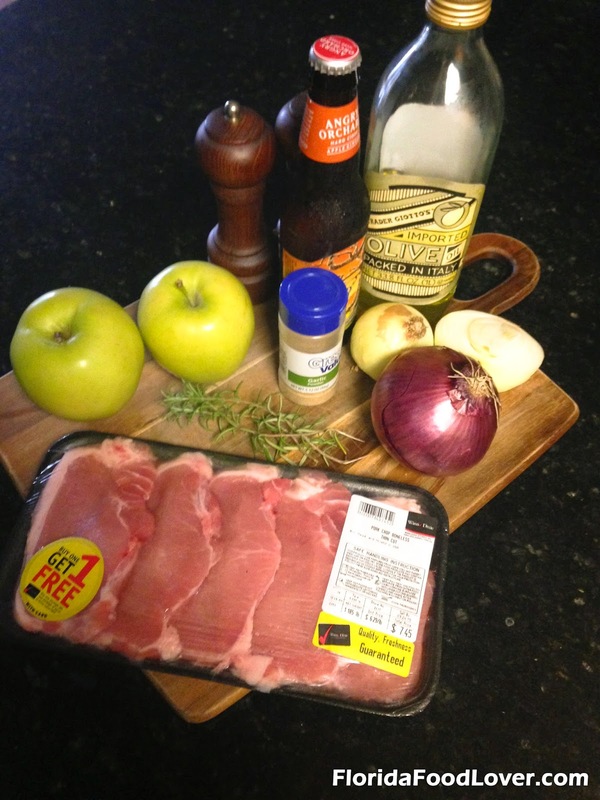 Pork chops were buy-one-get-one-free at Winn Dixie this week, so we’ve got more than we know what to do with now. Last night I tried out a new recipe. 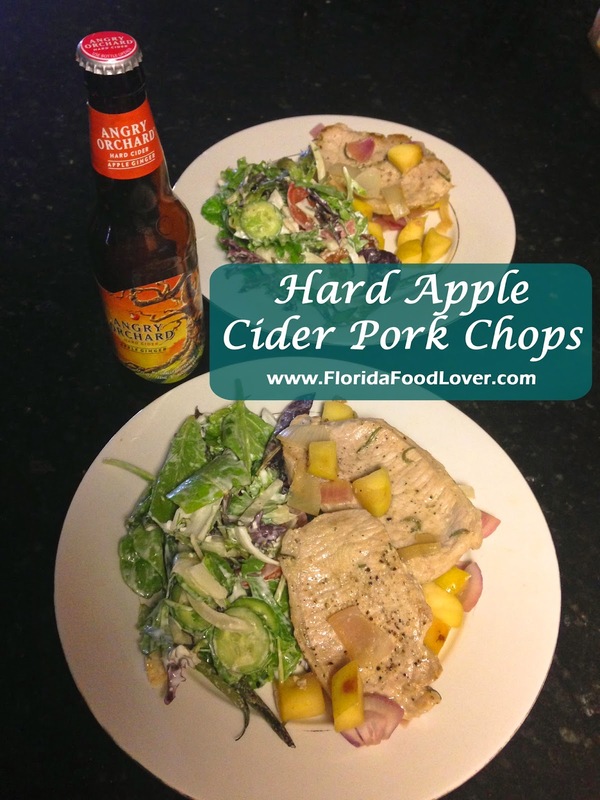 I’ve had pork with apples before, but this one also used a bottle of hard apple cider to infuse it with even more apple flavor. It only took a few minutes to throw together. 1. 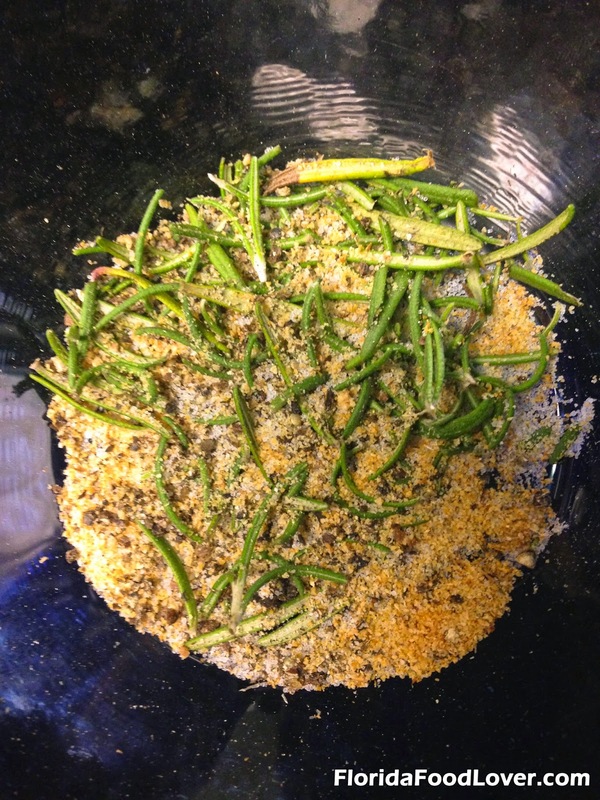 Mix together salt, pepper, rosemary and garlic powder together in a small bowl. 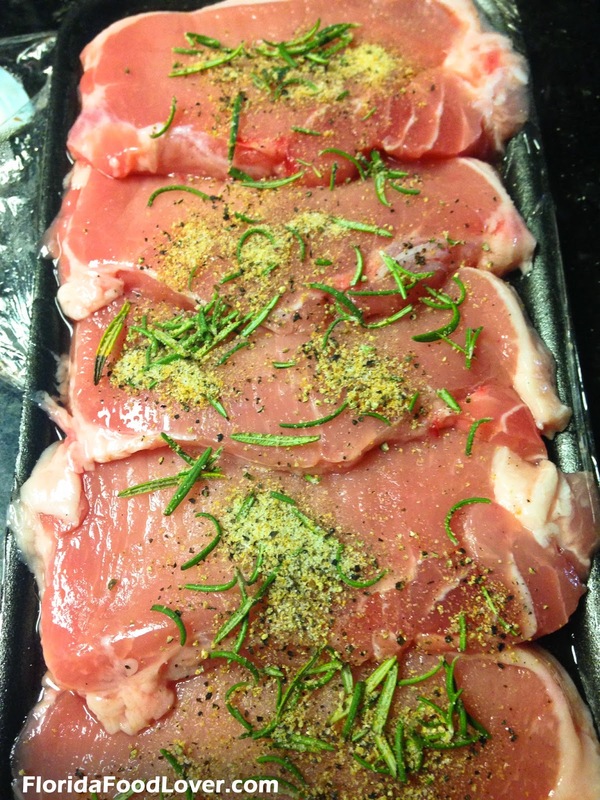 Season both sides of the pork chops generously. 2. Heat oil in a large skillet over medium heat. 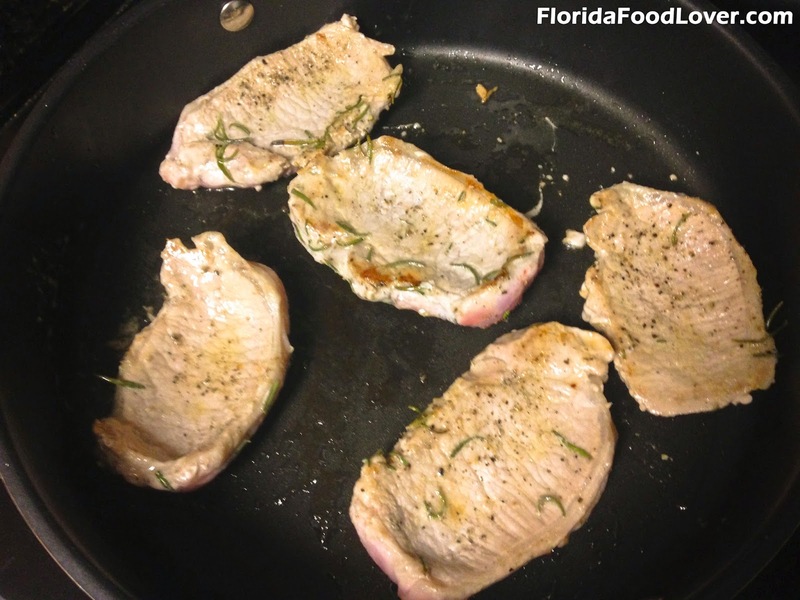 Place the pork chops on the pan and cook for 4 minutes, or until chops are golden brown. 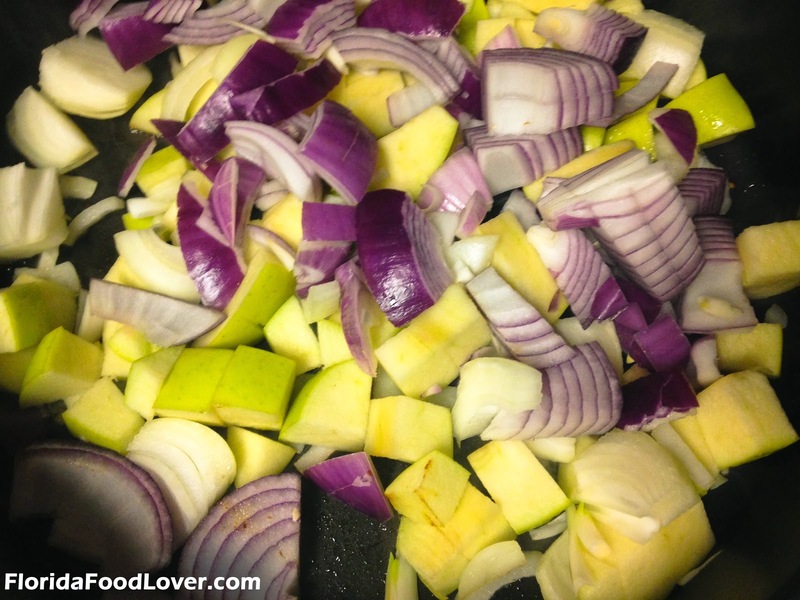 Cook on the other side for an additional 4 minutes. 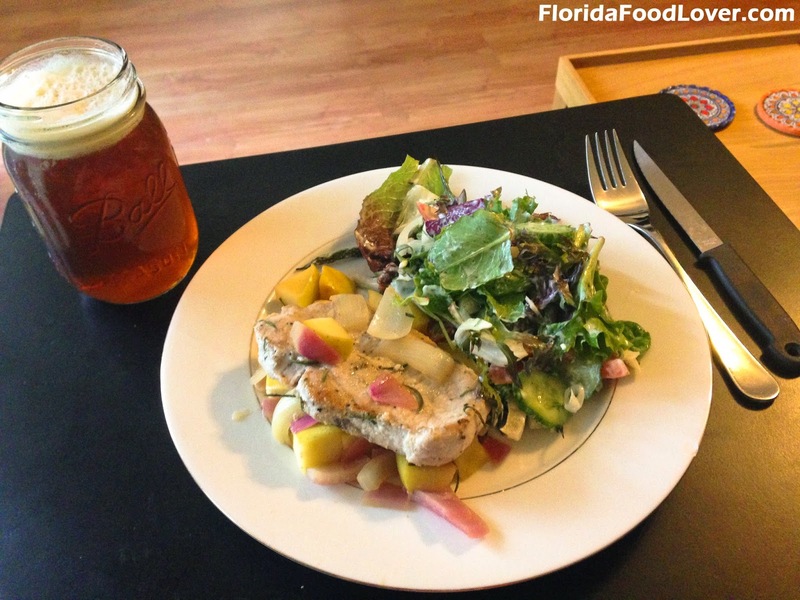 Set aside on a plate. 3. 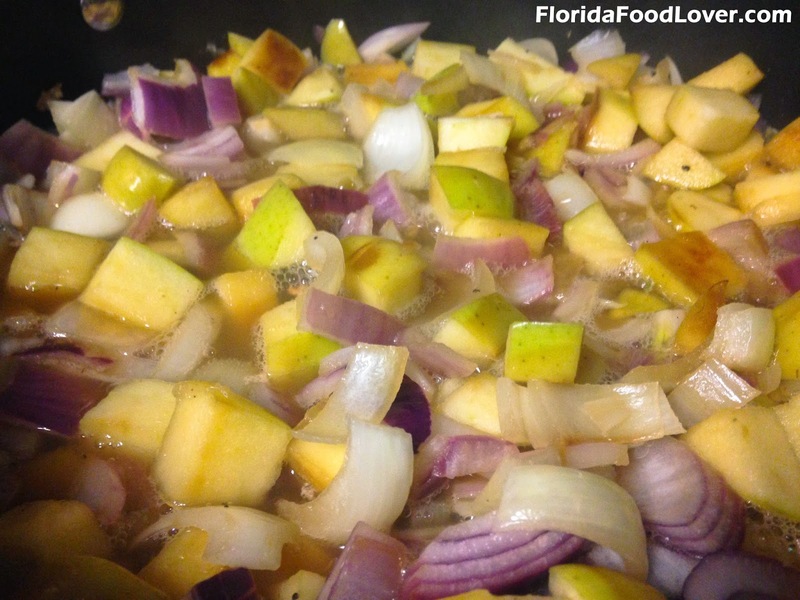 Put the sliced onions and apples in the skillet and season with a pinch of salt and pepper. 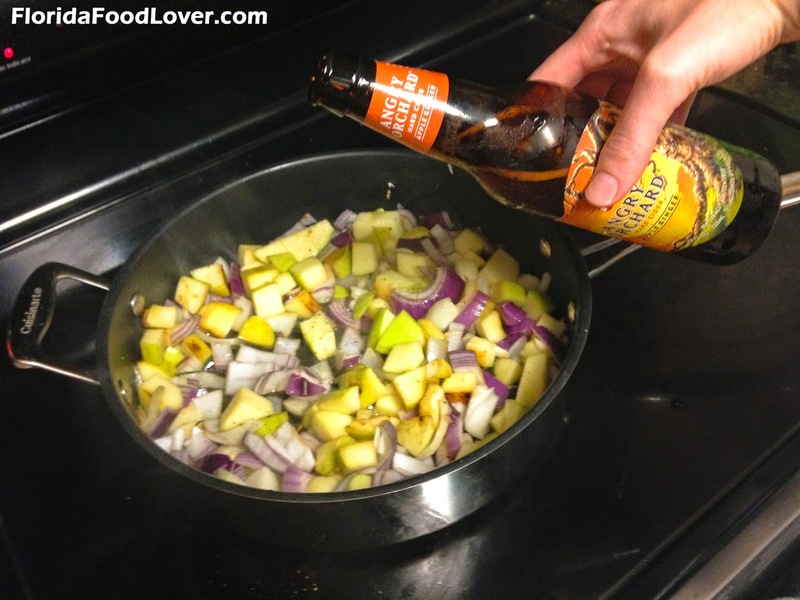 Pour in part of the hard cider (about ¼ cup) and deglaze pan while tossing the apples and onions. 4. 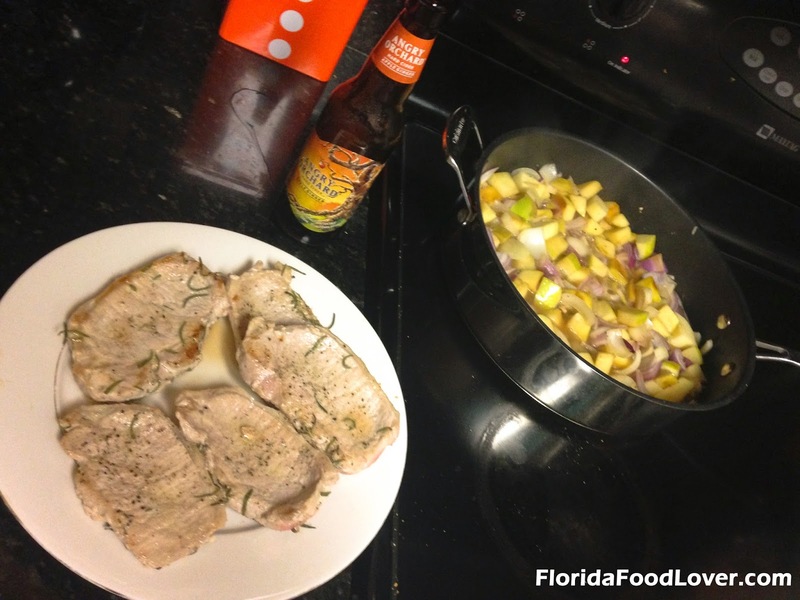 Add rest of the cider and let simmer for 5 minutes uncovered until the liquid starts to reduce. 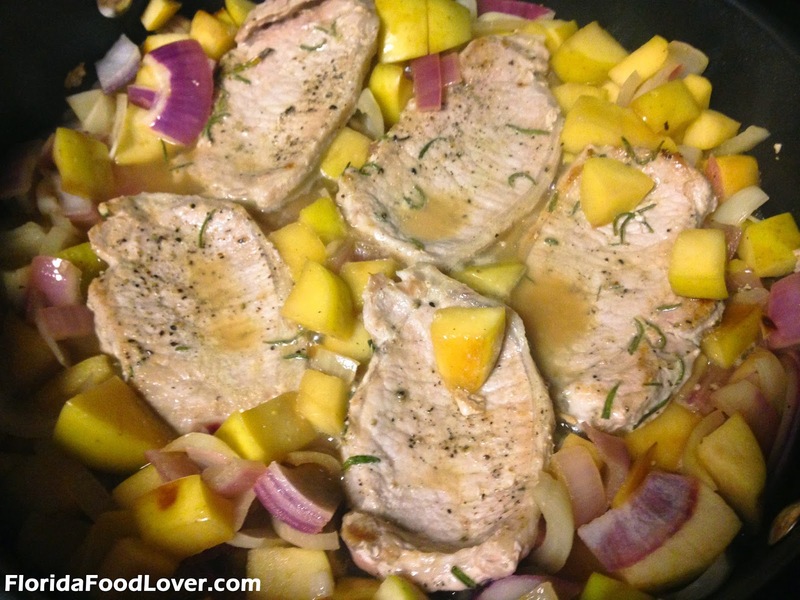 Add the pork chops back to the skillet and cover. Turn off heat and let sit 1-2 minutes.